More than 65 million people have incontinence and it’s three times more common in women than in men, but the topic is rarely talked about. Simply google “incontinence” or “bladder leakage” and you’ll find the only information available on this topic is on medical websites – not exactly the emotional support that women (or men, for that matter) are looking for. To help encourage people to continue living the life they want, Depend® is celebrating the personal journeys of individuals who never stopped owning their greatness and continue to live their life to the fullest every day with Depend® Underwear. The two women below have partnered with Depend in an effort to bring the discussion to the forefront and to help women understand that bladder leakage isn’t just normal – it’s also very common. · The new and improved Depend® Real Fit, Silhouette and Silhouette Active Fit briefs were designed with you in mind, offering a new look and premium feel to help give you the confidence you need to continue living the life you want and love. The new and improved Depend® Silhouette Active Fit briefs are awesome! The let me Own My Greatness and not have to worry about leakage away from home. My journey with incontinence began after I had my children. It got worse with each child I had. I started experiencing leakage when I laughed and even when I sneezed! Depend fit briefs allow me to dance with the kids, act crazy or even go out with friends and enjoy an evening! They are comfortable and sit right below my waist. They trap and lock in wetness and odor. I really like the comfortable cotton like fabric. I also like that no one knows I am wearing them!! Depend Silhouette Active briefs allow me to keep up with life and keep moving. 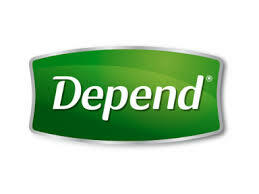 follow Depend® on: Facebook.com/Depend, Youtube.com/ kc10dependchannel and Pinterest.com/dependbrand. Thanks for stopping by Dnbusters Place! 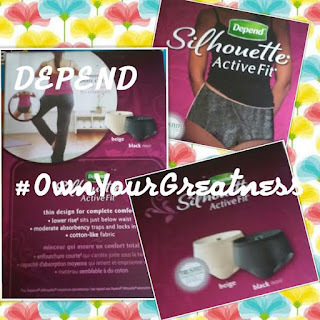 Disclosure ~ I received free samples and brand products in exchange for my posting about Depend, #ownyourgreatness and womens health week.